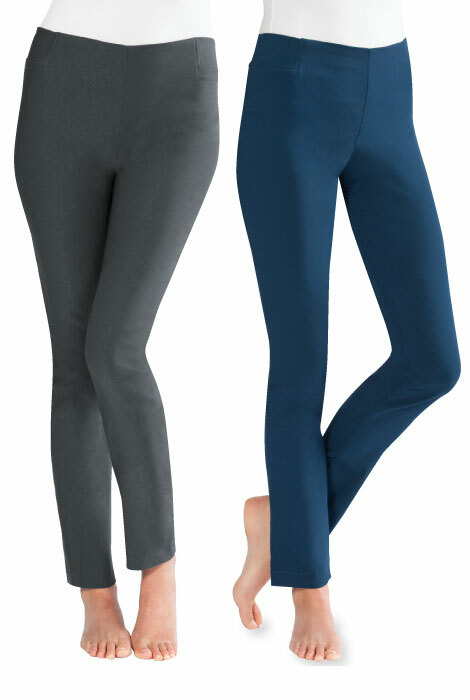 You’ll be decked out in style when you slip on these comfortable Skinny pants with built-in tummy control. 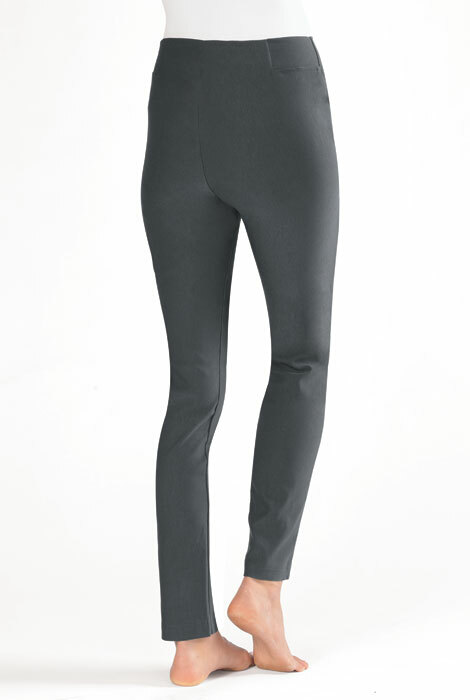 Hidden elastic waist provides comfortable coverage and a flattering shape. 30 1/2" inseam. 74% rayon/22% nylon/4% spandex. Machine wash. USA/Imported. Sizes 6-18. Rayon/Nylon/Spandex Machine wash in cold water or dry clean. Do not bleach. Lay flat to dry. Cool iron if needed. Hopefully these pants will be more stylish than the DXL slimming pants because of their wide ankles. Like the fit and variety of colors. Previously ordered capris and loved during summer. Wanted to try pants! Good fit. True to size. I have the shorts and love them. Because they have tummy control. I have the capris and love them. Want Same for cooler weather. I have purchased these before, and I was very pleased with them, so that's why I've ordered another pair. Tried and like the Skinny Capris so tried the pants and liked the fit also. I wear a size 3 in your ActivShaper crop capris and ankle pants. What size would I order in the pants? BEST ANSWER: Thank you for your question. Size 3 would be size 10-12. We hope this information will be of help to you. do these pants sit at the waist? BEST ANSWER: Thank you for your question. 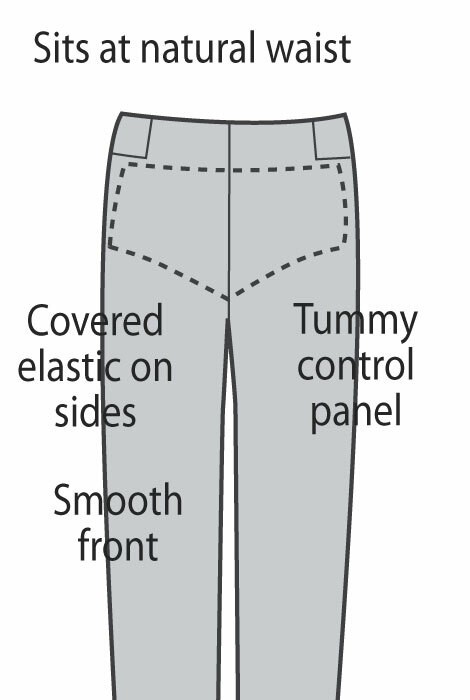 These have a 30 1/2" inseam and fit sizes 6-18. We hope this information will be of help to you.